The process of administering the estate of a deceased individual can be a daunting task, regardless of whether the deceased individual passed away with or without a Will. At the law office of Carluzzo Rochkind & Smith, P.C., our estate planning lawyers have extensive experience administering estates of decreased individuals in Manassas, Prince William, Manassas Park, Gainesville, Haymarket, Woodbridge, Lake Ridge, Dumfries, Bristow, Warrenton, Centreville, Fairfax, Stafford, Chantilly, Leesburg, Ashburn, Sterling, Herndon, Reston, Alexandria, Annandale, Arlington, and throughout Northern Virginia. Understanding the nuances of the estate administration process, including the use of allowances and exemptions, the filing requirements, and the role of the Commissioner of Accounts, can simplify the process of administration. In instances when the probate assets of an estate are insufficient to satisfy all liabilities of an estate resulting in an insolvent estate, it is important to follow statutory requirements to avoid personal liability for missteps while administering the estate. Understanding the process of filing annual accounts is essential to the expeditious administration of estates. The process of compiling documents and filing the annual account is unusual and is not necessarily easily understood. 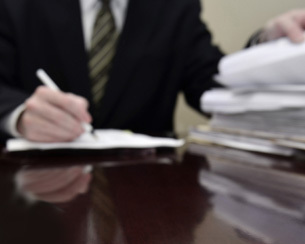 The guidance of an estate administration lawyer can result in the saving of time. Where appropriate, an attorney experienced in estate administration matters can also counsel clients on the administration of estates pursuant to the Virginia Small Estates Act, or can suggest the use of a Statement in Lieu of Settlement of Account for Decedent’s Estate to simplify the estate administration process. If you need help with estate administration, please contact our experienced estate planning lawyers online or by calling us at 703-361-0776.